Having seen and fallen in love with Yiqing Yin on the Fiercer Than You blog, I immediately hit Google to find out more. 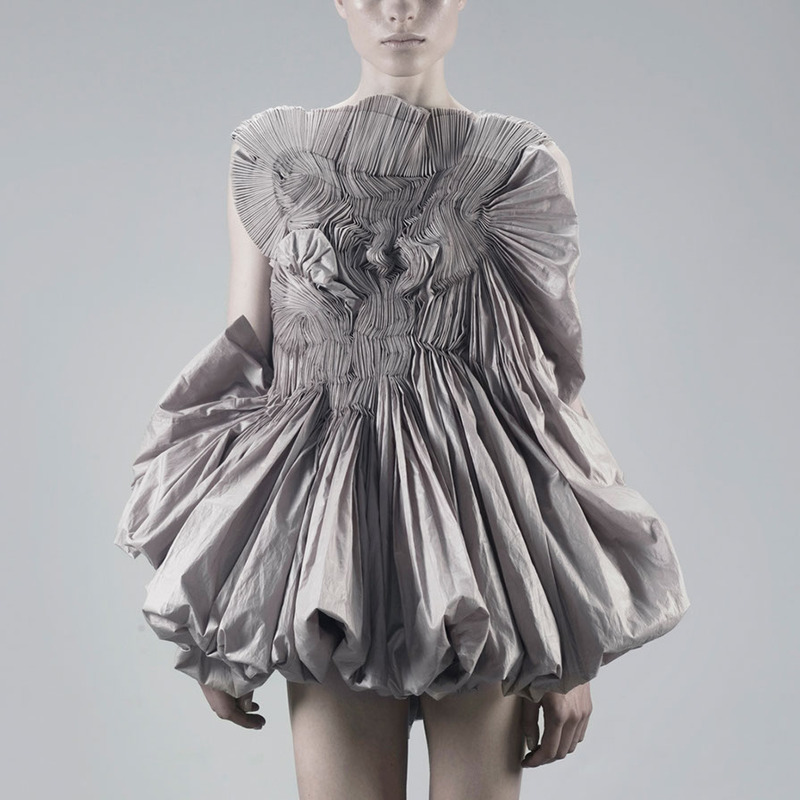 “Yiqing Yin studied at the Ecole Nationale des Arts Décoratifs, Immigrating from China at age 4, tossed between countries, her clothes have often provided her with a point of reference: “Returning to my clothes, was like living once more within my body and my emotions; I was at home.” Her aim has been to create a garment that protects and reinforces, being at the same time a second skin and a supple armour. 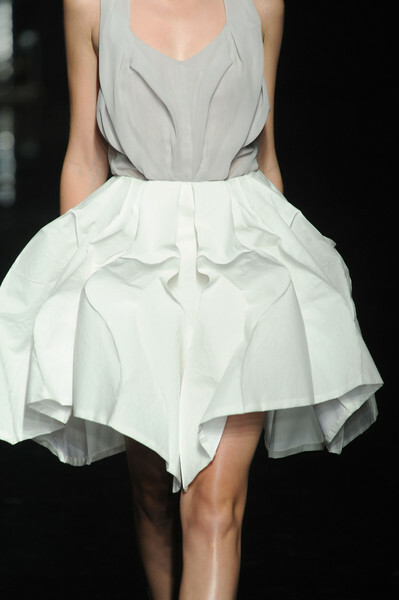 Examining the dynamic potential of pleats, she imagines structures which are never fixed, shapes that are always in mutation. She sculpts the emptiness around the body with, as a common thread, the search for balance and points of rupture between the flowing zones and the sculpted zones. The modernisation of smocking and the elimination of any order of construction, allows her great room for experimentation. She models loose shapes with a staggering structure, whilst at the same time remaining within the limits of patterned designs, confessing her attraction for a method of creation which is intuitive, a sensory wandering, and the search for voluntary accidents. Yiqing Yin has won the Grand Prize of Creation of the City of Paris. 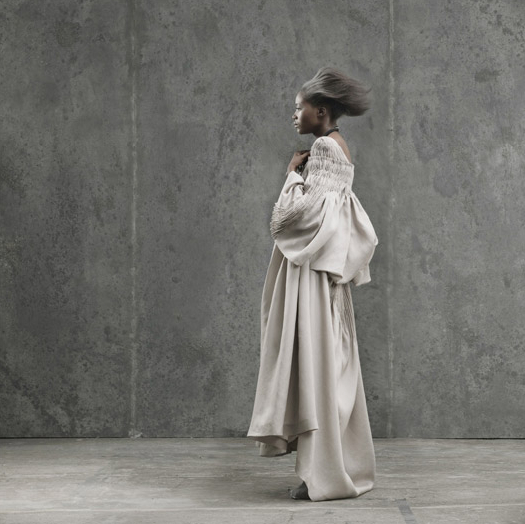 She first presented her creations at the Hyères International Festival in 2010. Those creations were displayed in the windows of the Ministère de la Culture, at the Théâtre National de Chaillot and at the prestigious Joyce Galery. 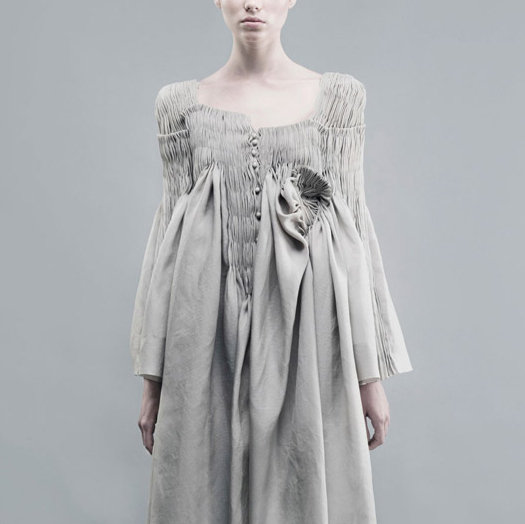 Her collection “the dreamer” was exhibited at the Hôtel de Crillon during the March 2011 Women Fashion week curated by Vogue France. 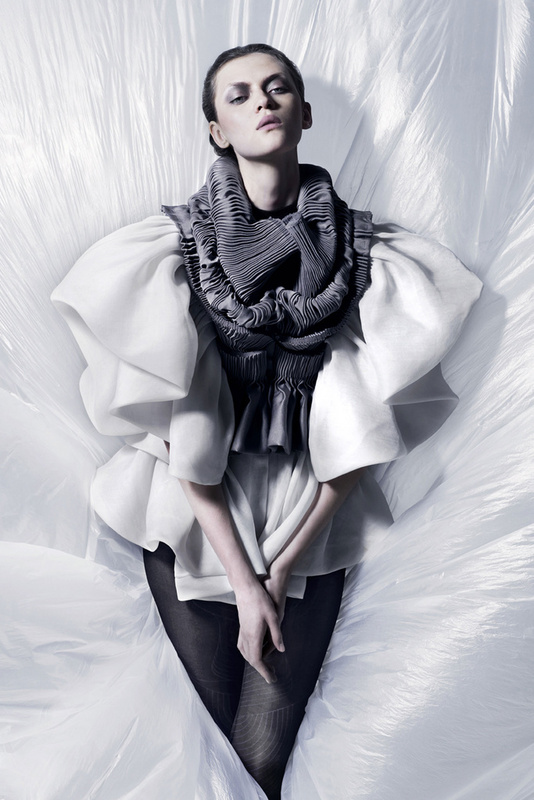 Yiqing Yin has been selected by French Vogue as one of the 8 young designers to follow up. 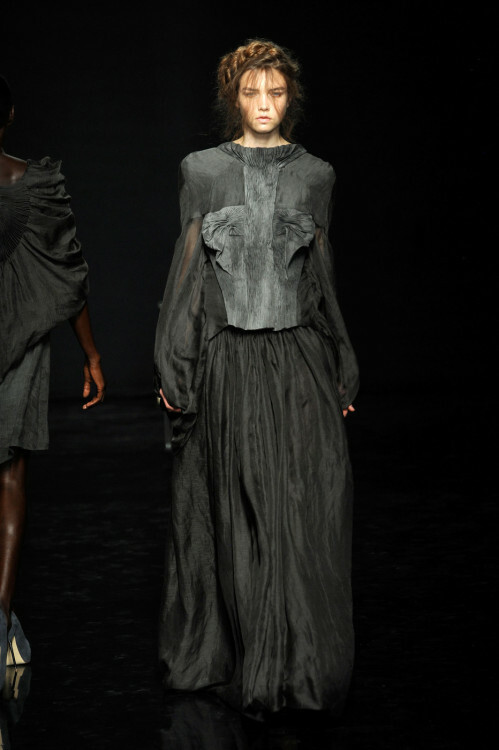 In June 2011, Yiqing Yin was awarded the Andam Prize for First Collections, and has presented her debut show on July 7th in Paris. 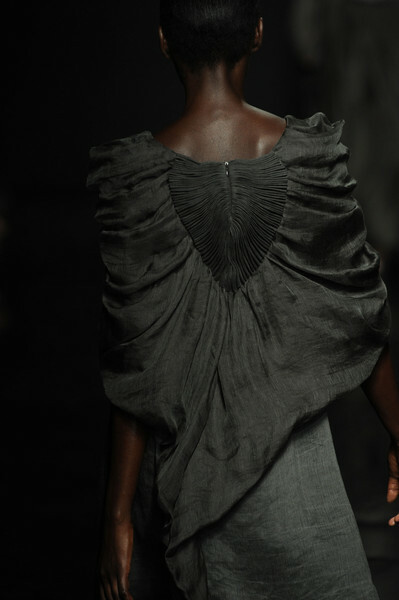 Her choice and use of fabric is exquisite and there are some beautiful examples of her work to be seen on the web. I just had to post a few of my own favourite images. Don’t you just love these? A designer to watch and be inspired by, I think.